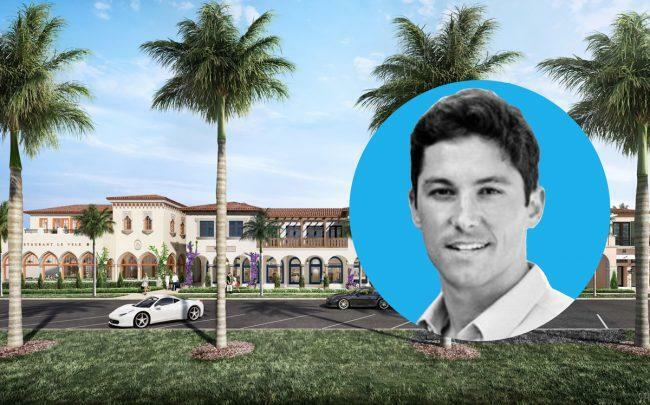 Royal Poinciana and Robert Frisbie Jr.
Frisbie Group sold two condos in the new Royal Poinciana project in Palm Beach for a combined $20 million. Dr. Stephen Sullivan, a Massachusetts ophthalmologist, bought a 6,217-square-foot unit for $10.5 million and a 5,475-square-foot unit for $9.5 million, according to Robert Frisbie Jr.
Suzanne Frisbie brokered the deal. The two-story project is currently under construction and is expected to be completed in the fall. In January, Frisbie Group sold the ground floor of the project to The Breakers, a luxury resort in Palm Beach, for $20 million. The Breakers has yet to announce plans for the retail and restaurant component. Frisbie Group, a Palm Beach real estate firm, kept control of the six condos on the second floor. The real estate firm has not yet marketed the condos for sale, according to Frisbie Jr. It will start actively marketing the four remaining units when the project is completed, and he said he expects to gain interest from families as well as from individuals looking to downsize. The condos average about 5,000 square feet to 6,000 square feet with four to five bedrooms. The condos have an underground parking garage and each one has a private elevator. The buyer of units one and three, Dr. Sullivan, is an ophthalmologist in North Dartmouth, Massachusetts and has worked at the Morton Hospital and Medical Center. The site was previously occupied by the popular Testa’s Restaurant, shops and a gas station before the Frisbie Group bought it in 2013 for $8.9 million. The project broke ground in 2017. Royal Poinciana Palm Beach is part of a revitalization of downtown Palm Beach. Last April, New England Development bought the nearby Bradley Park Hotel in Palm Beach for $15.4 million. The Breakers is a luxury resort originally founded by Henry Flagler. It has 538 guest rooms and suites and a 36-hole golf course. It also has half a mile of private beach, according to its website.